WordPress is a very easy to use system that not that many people know how to leverage. I get the question all the time about WordPress Tags and how important they are. WordPress tags are important and can be a great source of traffic. Below are some of the good and the bad things about WordPress tags. Below I will tell you why you should use WordPress tags and why you shouldn’t use WordPress tags. Tags are much like categories as they give more meaning to your posts. Unlike categories in which you are limited by the number of categories on the page, tags allow you to have virtually unlimited amount of them. Sometimes you will only use a tag one time over 10,000 posts. Sometimes you may use it thousands of times. When someone clicks on the tags, it will pull up all other posts that have the same tags as that one. It’s a very easy easy way for readers to find very specific posts that are related to what you’re talking about in the current posts! Matthew Mullenweg and Lorelle VanFossen, both experts in WordPress blogs, warn against the use of tags and categories interchangeably. They describe categories as the table of contents in a book and tabs as an index file in the back of a book. Both are widely used but shouldn’t be used interchangeably to just rank for more keywords. When you have your site hosted by WordPress.com, your site will be searchable by other WordPress blogs and your tags will show up when people search for you on their site. Search engines like Google, Bing, Yahoo, and all other search engines will read your WordPress tags as keywords when indexing your websites. 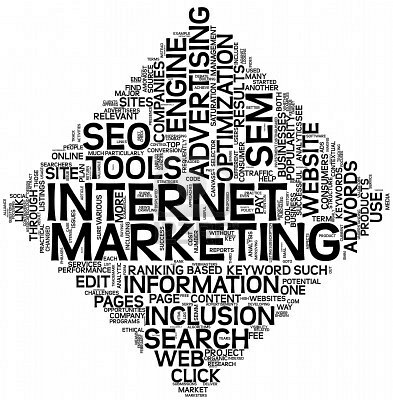 They will especially help if you use different search engine optimization plug-ins. These tags will help raise your blog’s ranking on search engines such as Google. When people search for different keywords that are tagged on your website, you will show up higher in the SERPS then you would if you did not use them. These will especially help newer sites to rank better for terms that they are going after. Make sure that you don’t over-use these tags as they will not help you. I personally have found that anything over five different tags per >1000 word article will start to harm you more then hurt you. Tag clouds show a graphical representation of popular tags across your website. It will show popular tags with bigger and bolder words and tags that aren’t used very much will be smaller if even seen at all. For sites with thousands of words this will be a popularity contest with words. Tags that are used more will show more. This helps users to easily click on and see what the main points of the blog are and find relevant posts with the same tag. Share your comment 1 responseTO How Important Are Tags In WordPress.